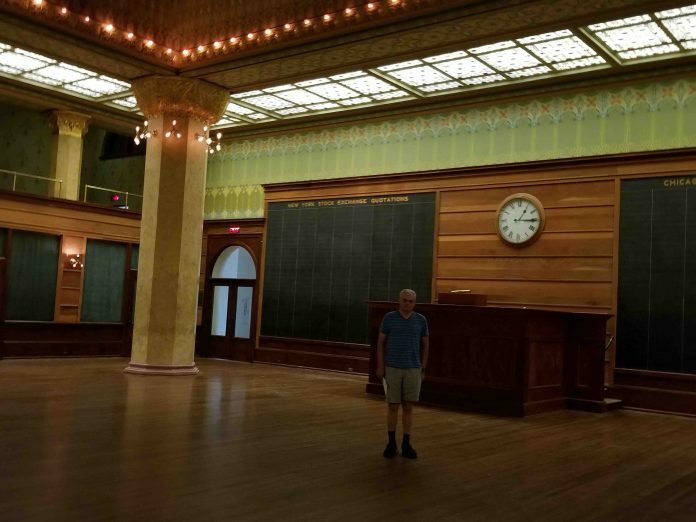 Unless you’ve read about the topic, you wouldn’t expect to find a stock exchange trading floor (full-scale) at the Chicago Institute of Art. I mean, this is an institution with famous masterworks, ancient art and a special exhibition about multi-talented French artist Paul Gauguin. Yet there it was, at one end of the museum complex — a complete rebuild of the original Chicago Stock Exchange trading floor. Today, heritage rules are represent another regulatory hurdle developers must overcome to build in established and older neighbourhoods. But the value of the preservationist mind-set is readily apparent in Chicago’s streets, where art deco buildings have been restored to current standards and certainly are viable economically. While the original Chicago Stock Exchange building could not escape demolition, the heritage group raised enough funds for a rebuild of the trading floor at the Chicago Art Institute. Nickel, sadly, died in an accident at the old stock exchange building site as he was gathering materials for the salvage and recovery operation.